Steady and undefeated: Fanad Lighthouse Donegal. 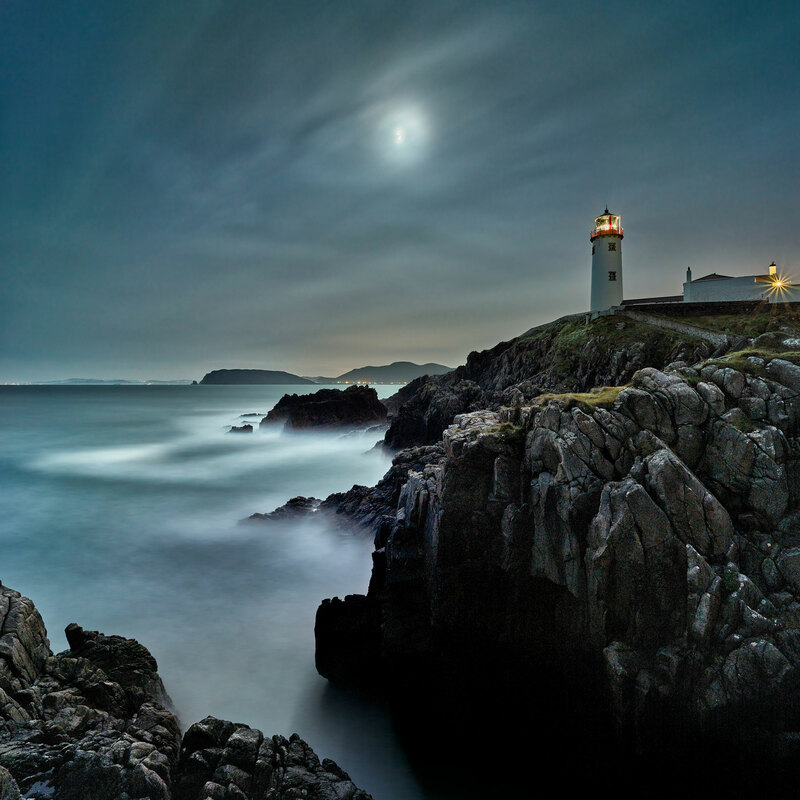 A nightscape photo of Fanad Lighthouse Donegal. My 2nd nightscape photo during my visit to Fanad Lighthouse Donegal, the very pleasant night made me realize that the lighthouse remains secluded and all lonely even during the darkest nights. Visitors can now actually stay in accomodation in the lighthouse! A wonderful place to escape the hustle and bustle of life. It’s on my bucket list. This seascape photo narrates the story of isolation of the lighthouse. When I was approaching to click this photo, the sun was already set for a few hours and it was quite dark. But the moonlight being a messiah showered soft light all over the place. Indeed a mesmerizing view! Reminiscing on the past with fine art architecture photography in Dublin. Gateway to nature’s paradise through black and white seascape photo.